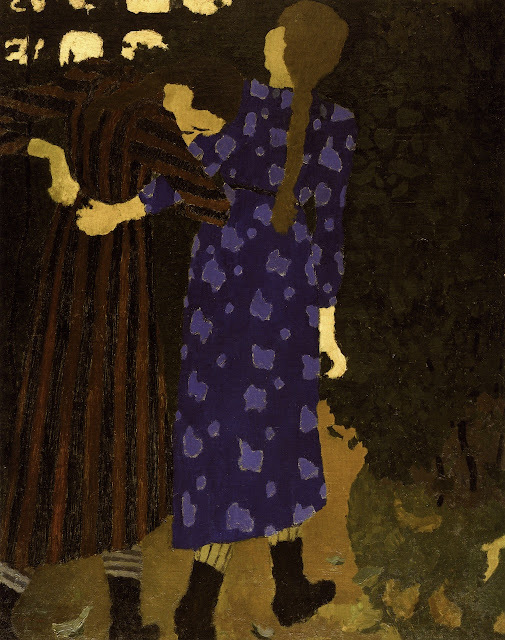 Continuing with the theme of Les Nabis, I'm taking a look at the works of French artist Édouard Vuillard (1868 – 1940). 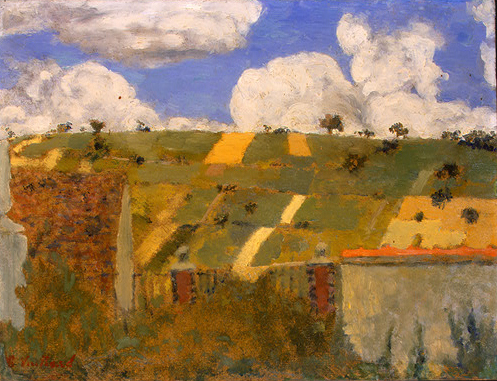 Parts 1 and 2 feature his paintings, part 3 his prints. 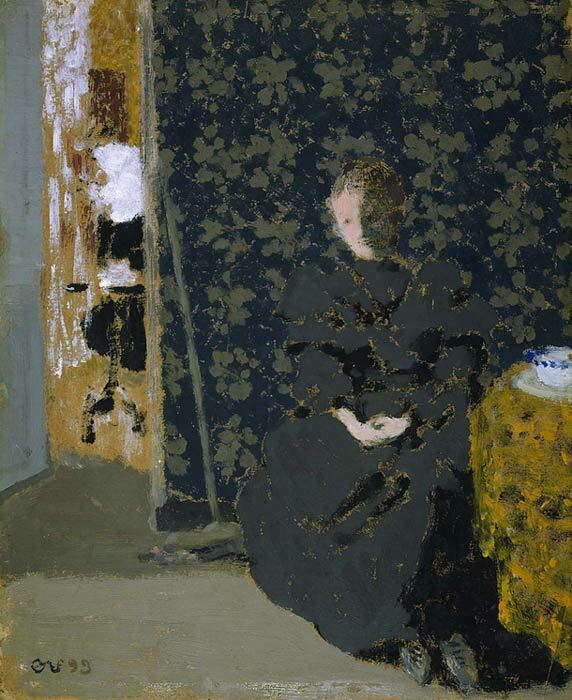 Vuillard was born in the Bourgogne region of France, to a soldier-turned-tax collector and his wife, a dressmaker. 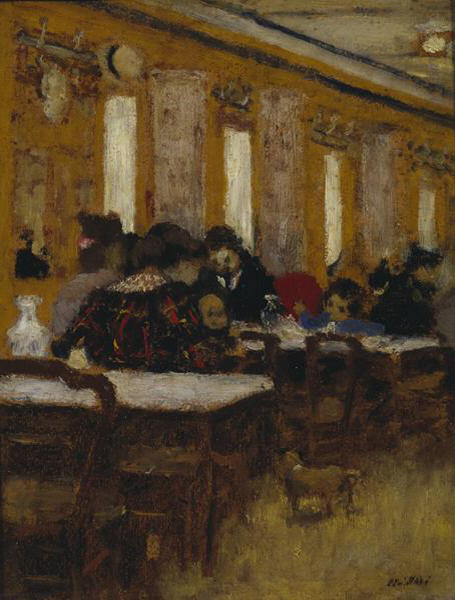 In 1877 the family moved to Paris. 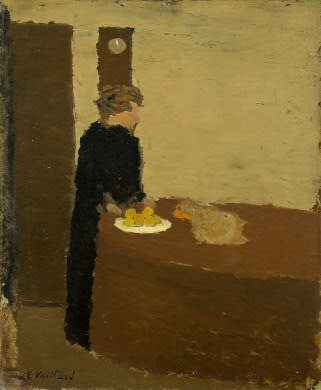 There Vuillard attended the Lycée Condorcet, where he befriended the future artists Maurice Denis and Ker-Xavier Roussel. 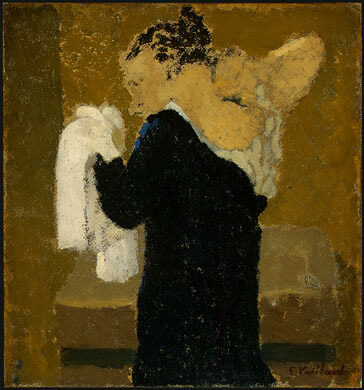 After leaving school in 1885, he joined Roussel (who would later become his brother-in-law) at the studio of the painter Diogène Maillart. 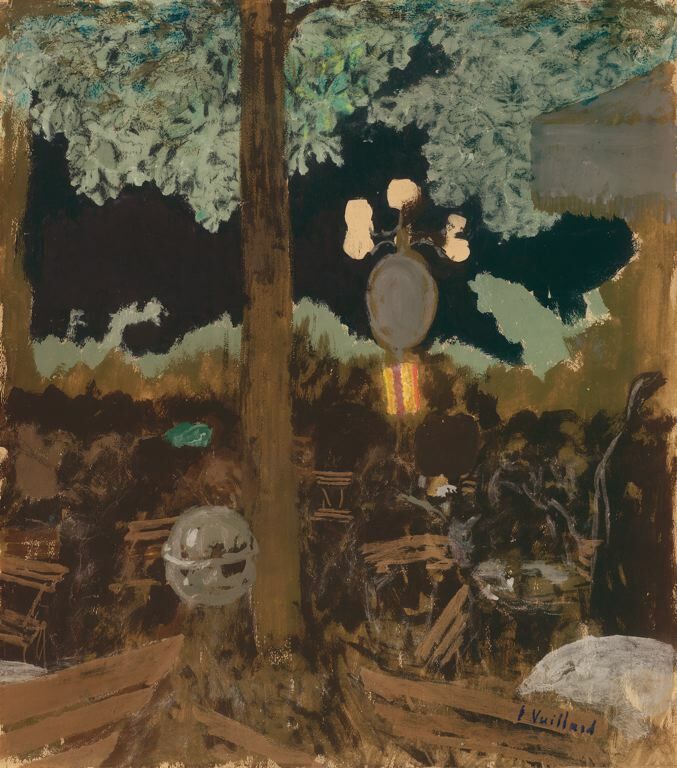 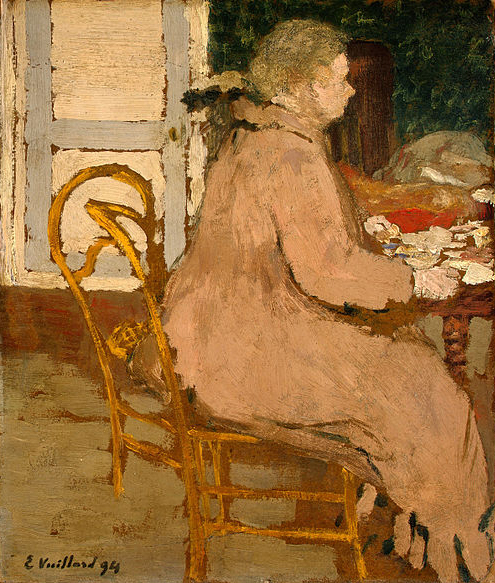 Vuillard then attended the Académie Julian in Paris for about a year, before passing the entrance exam for the Académie des Beaux-Arts in July 1887. 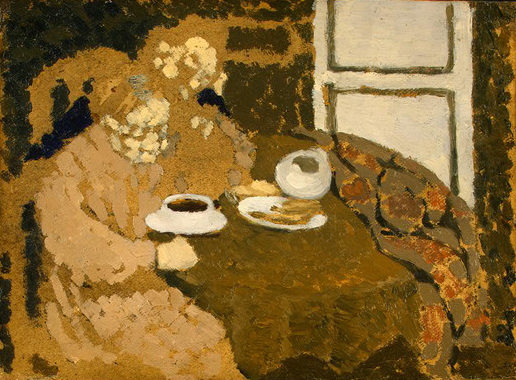 Vuillard’s studies at the Académie Julian would have more of an impact on his work than his intermittent studies at the Académie des Beaux-Arts, however, as it was there that Vuillard met Pierre Bonnard, Paul Sérusier, and Félix Vallotton, and in 1889 joined the Nabis, a group of dissident students led by Sérusier. 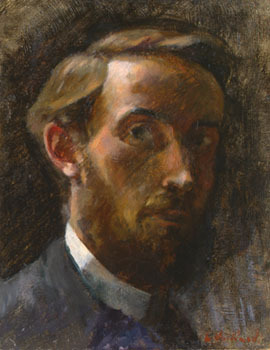 The Nabis, whose name is derived from the Hebrew word for “prophet,” were determined to rid their art of any trace of academicism. 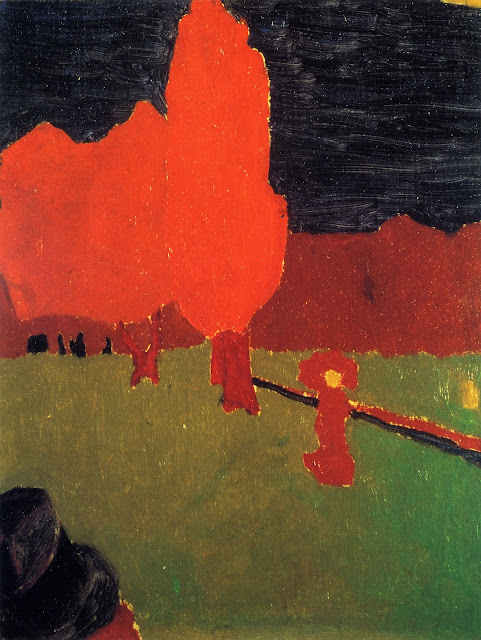 Sérusier’s The Talisman, the Aven River at the Bois d’Amour of 1888, executed using the colour theory and artistic philosophy of Paul Gauguin, became a kind of manifesto under which the group operated (see the Paul Sérusier post in the November 2011 Blog Archive). 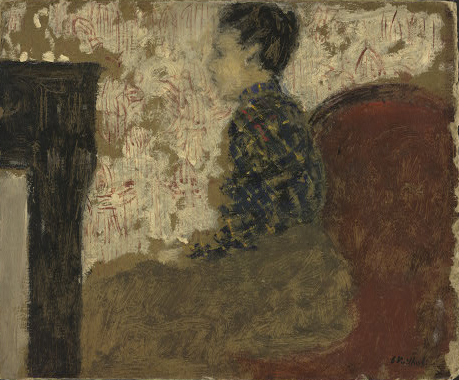 Its abstracted forms and Synthetist colour are mirrored in Vuillard’s work from 1890 on, when he was finally able to shake off the high finish and technical precision of his realist artistic training. 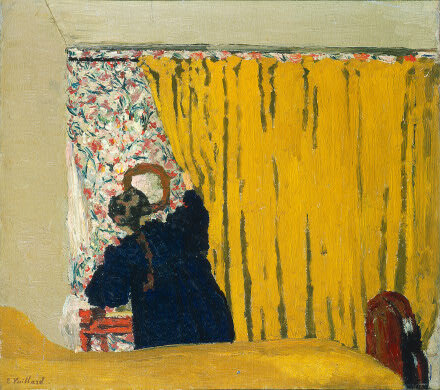 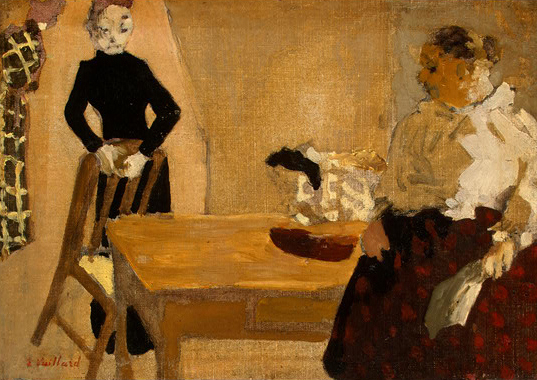 Unlike some of his fellow Nabis, who were more closely drawn to theological or mythical subject matter, Vuillard focused mainly on women in domestic interiors, which would serve as his primary subject throughout the rest of his life. 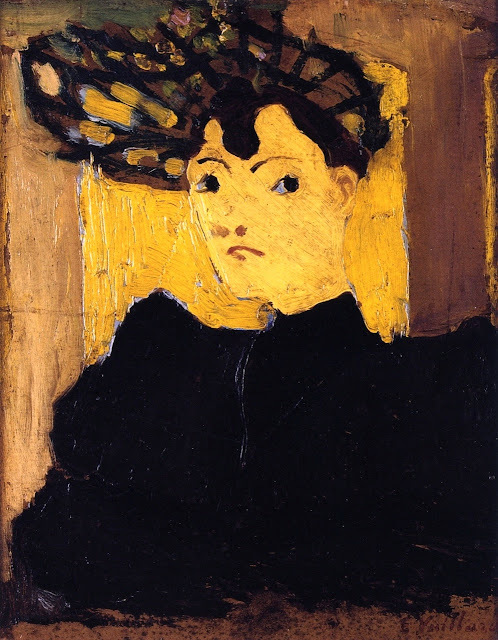 In 1892 and after, his work became elaborately patterned and mutely coloured. During the 1890s Vuillard’s association with the anarchist journal La revue blanche led to several important decorative commissions from its editors, the brothers Thadée and Alexandre Natanson. In 1900 he met Lucie Hessel, whose husband, Jos Hessel, was his dealer at Galerie Bernheim-Jeune in Paris. 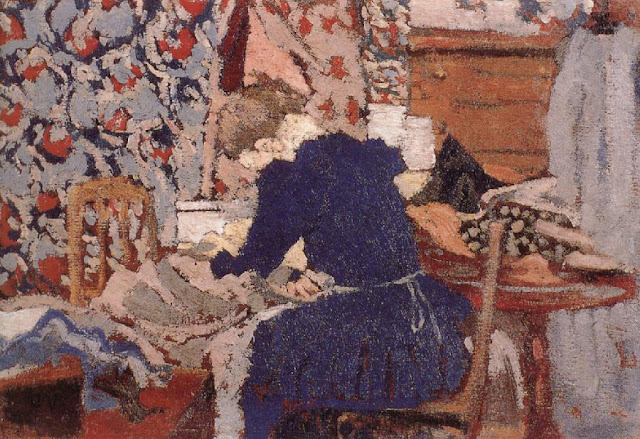 Madame Hessel would become Vuillard’s model and close friend for the next four decades. 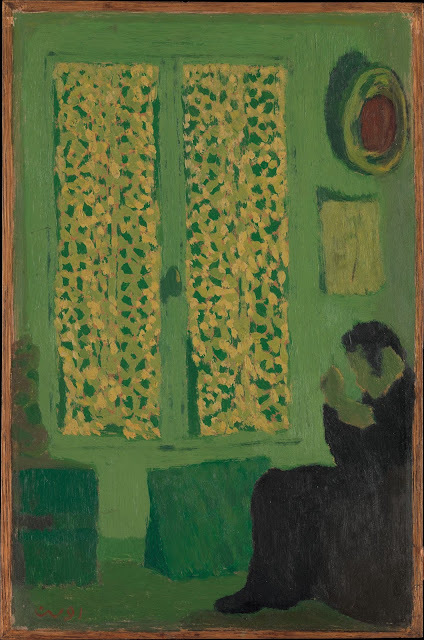 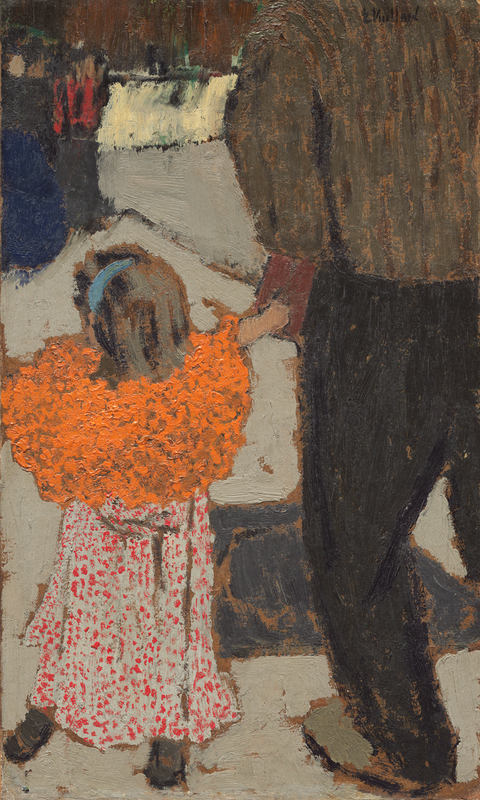 In later years Vuillard moved toward a more luminous style influenced by Impressionism, but his work nevertheless retained the flat, decorative quality of Nabi painting. He died in La Baule, near Saint-Nazaire, while making his way to Hessel’s seaside home, on June 21, 1940.